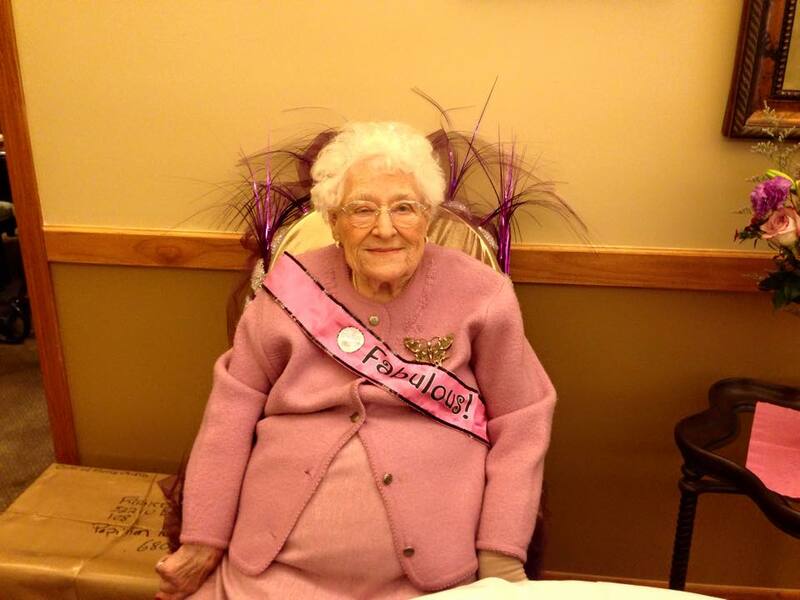 A little over a year ago I blogged about my Great Aunt Frances turning 100; well, last Friday she passed away at age 101! Can you imagine the things she has seen? She was not ill, her heart just gave out. I read somewhere that our hearts are good for so many beats and I guess it was her time. She will be missed greatly by family. Aunt Fran had the best get togethers at her house! I remember how her house was always decorated for Christmas. She used a huge corner of the living room, pieces of plywood, and put the tree on top of that. Then around the tree was the most amazing train going around and around; I sure hope someone has that train and still uses it! Maybe this will be the year I buy a train to put around one of my trees and I’ll call the town I set up “Franville”. My cousin Pete, that is my age, had allergies, asthma pretty bad and they ended up moving to Colorado Springs. We went to visit them during one summer, camping all the way from Michigan to Colorado. I hate camping! And then on to California. I still hate camping! A couple days later he was going to some church meeting and wanted me to go with him. Aunt Fran encouraged me to go, but there was just something telling me not to go. So I stayed home. Later that evening we got a call that Pete had rolled the car! He was fine, though. Call it divine intervention, I guess. Another time we went up into the Rockies to have a picnic along a stream. While things were getting set up to eat, Pete and I were throwing rocks in the river. Then Pete got the big idea, to hope on the rocks in the river. The river was ice cold. You didn’t even want to dangle your feet in it. Once again, I said, “Nope”. So he goes, see it’s really easy and jumped onto a few rocks. However, coming back to shore, he missed. Yep, fell in, totally wet! Well, Aunt Fran hooted and hollered at him. I had trouble not laughing all the way back to the house, because she made him take off his underwear and hung it on car mirror to dry. Everytime I looked at the car, I burst into laughter! The Meese’s came back to Indiana one year and we had a huge family get together in a park in Fort Wayne, IN. Someone picked up 3-4 buckets of KFC. It was a fun day running around the park, eating, etc. The next day, they were headed back to Colorado. Mark and I were seniors in high school and I convinced him to come to the reunion with us. Mark had been in a bad car accident, broken leg in many places, 3 months in the University of Michigan Hospital. The cast went from foot too above his waist. So my Dad called a couple relatives that lived in Indiana that were at the reunion, and some of them were doing the same thing! So he calls Mark’s house to see if he’s sick. His Mom says “he keeps throwing up in the bathroom”. So my Dad thinks this is hilarious and has figured out the buckets of KFC shouldn’t have been sitting in the sun; not all the buckets had bad chicken in them, because not everyone was ill. So he drags my Mother, my middle sister, and me to Mark’s house for a visit. He thinks this is hilarious!!! And wanted to laugh at Mark, I guess. Keep in mind when he would throw up, the leg in the cast kept the bathdoor from opening! Death is hard to handle but it makes it a little easier when you have some good, funny times to remember! RIP Aunt Fran and tell Uncle Ward Hola! What a few busy weeks I had in the U.S. Started out in Ft. Myers, FL because Todd, (SIL) had shoulder surgery at the VA hospital. I was impressed! Fairly new hospital. I was the runner to get stuff (ie: paperwork, medications, the sling for his arm). So I spent a lot of time in the lobby listening to the Vets talk about their experiences, etc. After 7 days there, I was off to Bowling Green. 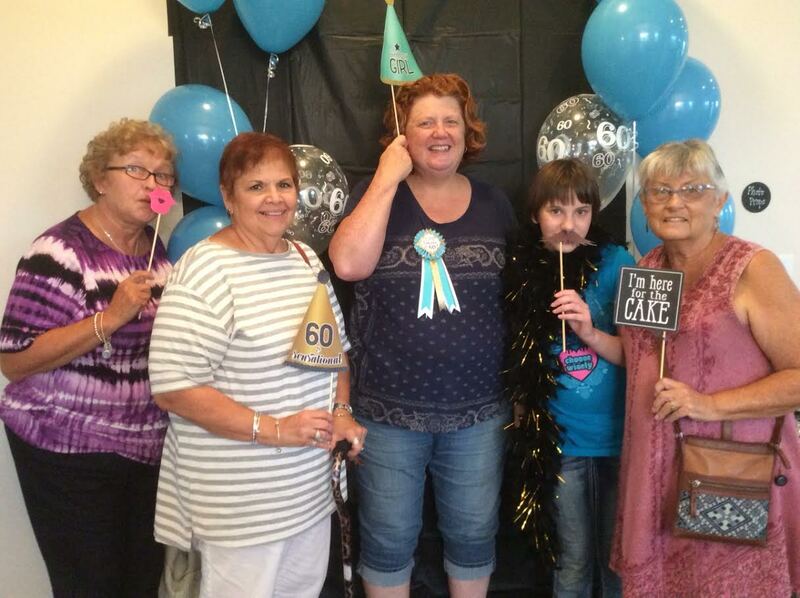 Gayla’s daughter, Megan, was planning a surprise birthday for her on Saturday. So, Pat, Velma and I headed to Nashville that morning to do a “little” shopping before hand. We arrived at Megan’s house and Gayla’s friend Patty, from Memphis, was shocked when I walked in! She said Gayla is going to be so surprised to see you! I never did count but I think there were 15-20 people there. It was a nice party and Megan and Rusy, Gayla’s son, did a great job! Stayed with Julie and Norman this time. They sure have a beautiful house!!! And I thank them immensely for their hospitality. Was able to spend some time with Joanne, who is another “bestie”. Pat, Velma and I had a ball. Went to see the movie Jason Bourne….throughout the movie I kept thinking this is right up Mark’s alley. All the car chases, motorcycle chases, crashes, etc. So I imagine when it comes here, I’ll be seeing it again! I flew Delta, and love they have screens on the back of the seats. Watched three movies in my travels….of course the only name I can imagine is My Big Fat Greek Wedding 2. Cute! Most of the shopping was already done and sent to Velma’s. So it was like Christmas!!! Even brought a new sewing small sewing machine home. Plus various other things that are too darn difficult to find in CR. Was really surprised at the prices in the grocery stores. Cheap! Compared to here. Eggs, 49 cents a dozen; milk 99 cents a gallon. Then the flight to Nashville, we circled Nashville for a little over an hour because of storms before we were able to land. The weather was so darned hot! Miserable…..I don’t know how people that work outside can stand it. The humdity was absolultely draining! I was happy to return home and see Mark and the dogs! Julie has 4 dogs and boy did I get sniffed over by our three dogs. It was a great time, but I am exhausted! 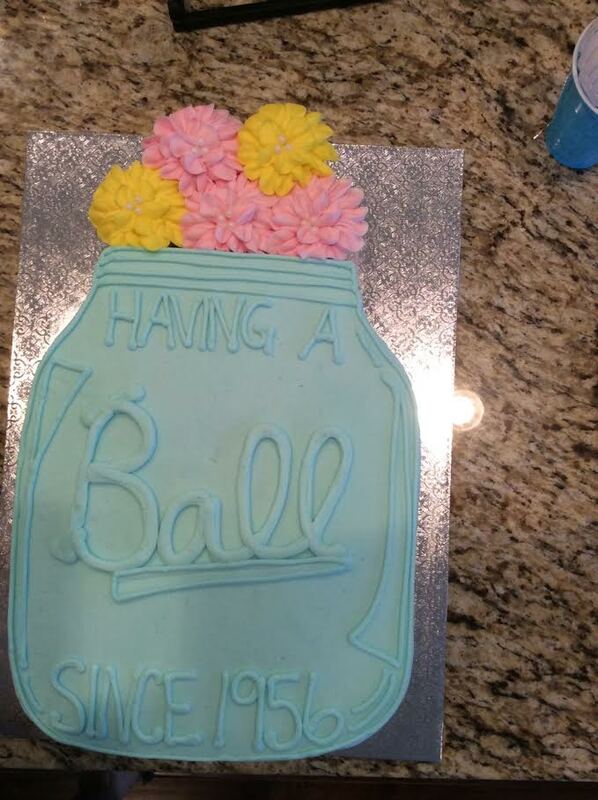 Perhaps age has a little to do with that!